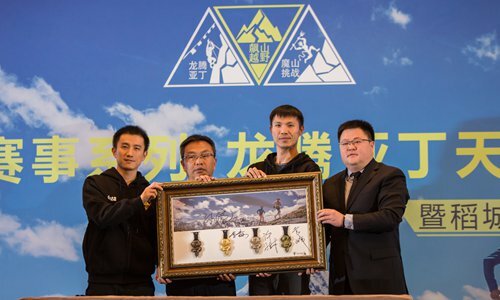 The Yading Skyrun Festival, a part of the 2018 China Mountain Trails (CMT) series, held a promotional event in Beijing on December 21. Representatives from the Ganzi government's Tourism Development Committee, the Daocheng government and the Yading Nature Reserve Administrative Office in Daocheng county attended the event. The competition will be held from April 28 to 30 and consist of a 10-kilometer Yading hike, a couples hike, a 7-kilometer vertical climb, a 29-kilometer Longteng Yading skyrun and a 46-kilometer Yading super mountain climb.